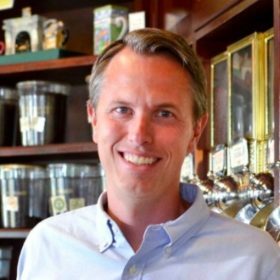 CEO at Schuil Coffee Co.
Tim Volkema is currently in the process of acquiring a West Michigan-based business. He was most recently an Operating Partner at The Windquest Group, where he focused primarily on portfolio operations and board governance. Prior to this, Tim spent over 12 years leading businesses across a variety of industries. He ran the Wag.com pet business for Amazon through its early, high-growth phase, responsible for its top and bottom line results. Tim also served as an Amazon Bar Raiser—a leadership role within Amazon designed to improve its recruitment efforts. Prior to Amazon, Tim co-founded and ran a fast casual Indian restaurant/truck mini chain as its CEO, which won several awards including Best Meal under $15 in San Francisco. Prior to that, Tim spent five years at Kraft Foods, managing brands like Grey Poupon and Shake ‘N Bake. Tim started his career with Deloitte’s Chicago office, working with clients on M&A transactions and bankruptcy reorganizations. Tim holds an MBA with honors from the Kellogg School at Northwestern University and a BA in economics from Calvin College.